The technical launch of the 50m/165’ Hybrid Tankoa S502 Elettra is on schedule at the Genoa shipyard. 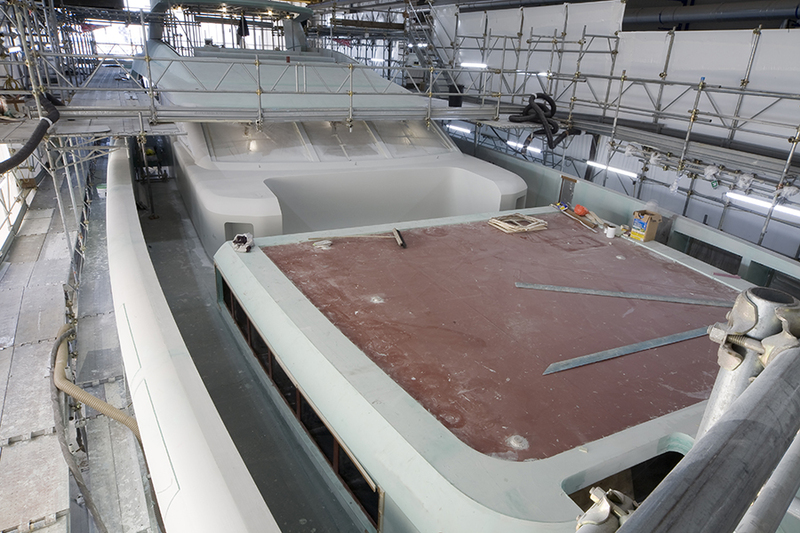 Following final fit out and dock trials, the yacht will pass intensive sea trials before delivery to her European owner next summer. Designed by Florence based Francesco Paszkowski in collaboration with Margherita Casprini, the model S502 Elettra is a style a sister-ship to the first 50 meters “Vertige” delivered in 2017. 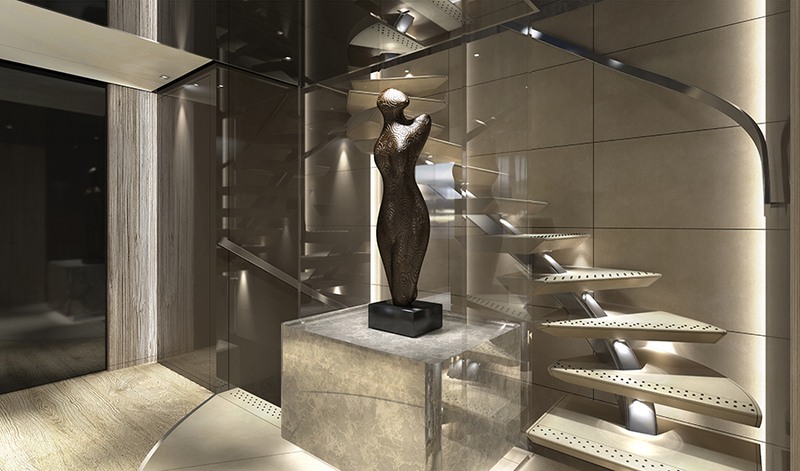 As onboard “Vertige”, she reveals a balanced and timeless style with a layout designed for optimal circulation. Owners and guests can move from deck to deck without interference with crew members who have their own dedicated pathways for servicing the yacht, providing complete privacy for owners and guests. 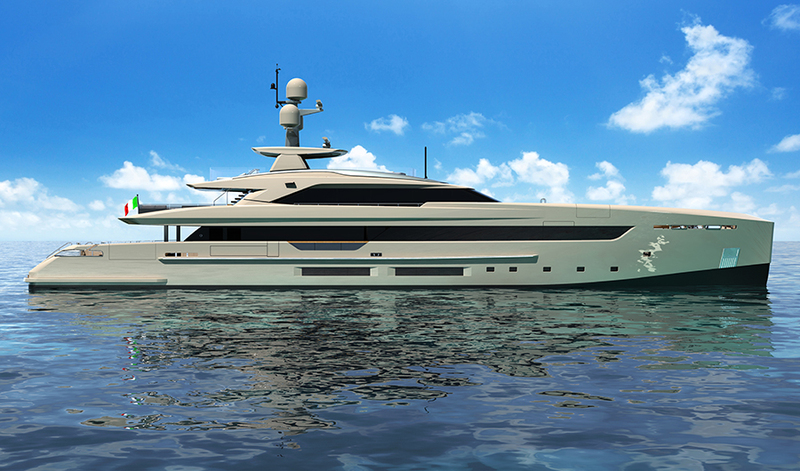 - Project Elettra powered with a hybrid propulsion package. 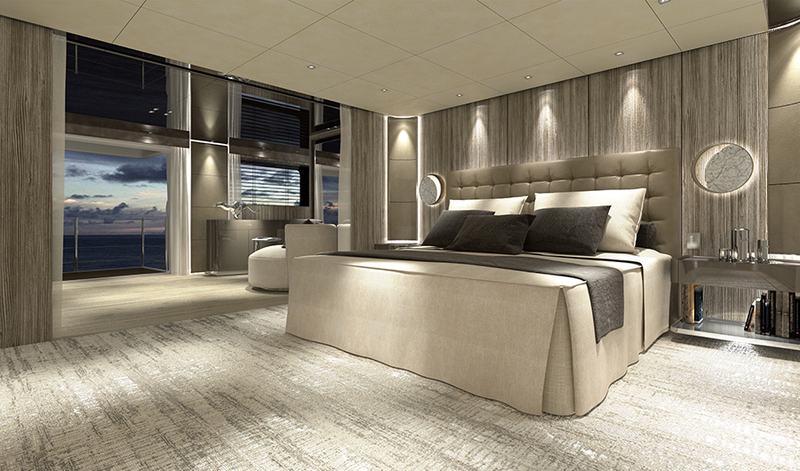 - She will be a 5-cabin with a main deck owner’s suite and four guest cabins on the lower deck. - The galley is on the main deck, instead of a lower deck. - Her foredeck features a touch-and-go helipad. - Diesel-electric mode. In this operation mode, the electric motors have powered by the two variable speed generators, allowing for a 10.5 knots speed and a range of 4,900 nm. - Hybrid mode. 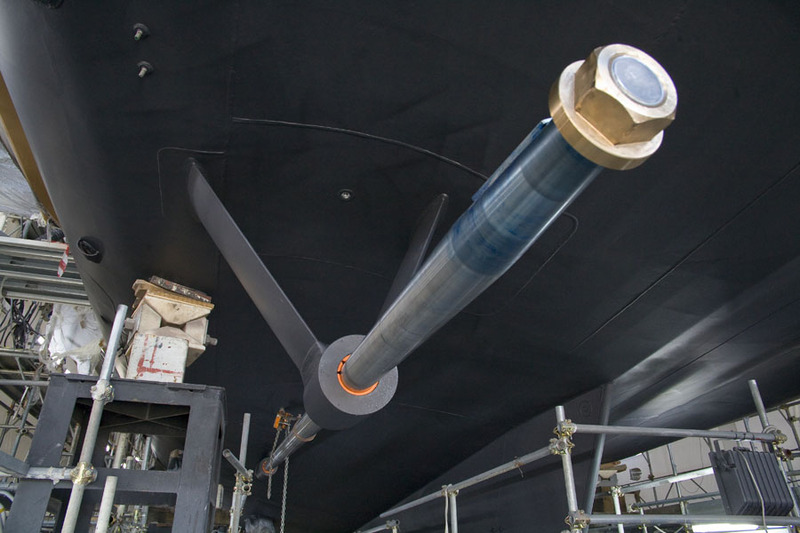 One of the two main engines drives feeds the same shaft electric motor to generate electrical power to run the second electric motor for propulsion and hotel load. At 12 knots, the yacht will have a cruising range of approx. 4,000 nm. The two diesel generators are inactive in this mode. - Traditional mode. The yacht can sail at 17 knots using both main diesel engines for propulsion and a diesel generator for onboard services. - Full-speed mode. With both main engines and generators supplying power to the two electric motors and for hotel loads, the yacht will reach a top speed of 18 knots. 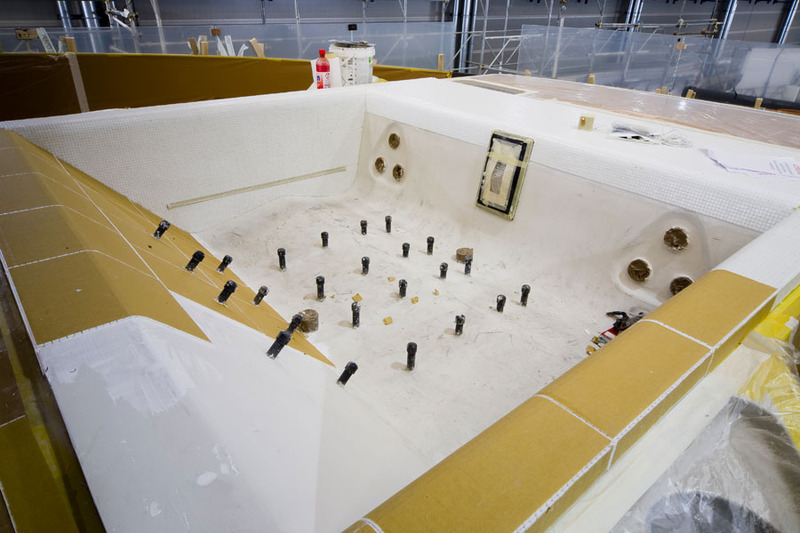 In October 2018 Tankoa Yachts shipyard has reported regarding construction progress that the Superstructure fairing was underway and the hull was almost completed, all engine room equipment has installed, including electric motors and drivers And all decks bulkheads had completed. So much work has done but more is going to be finished. 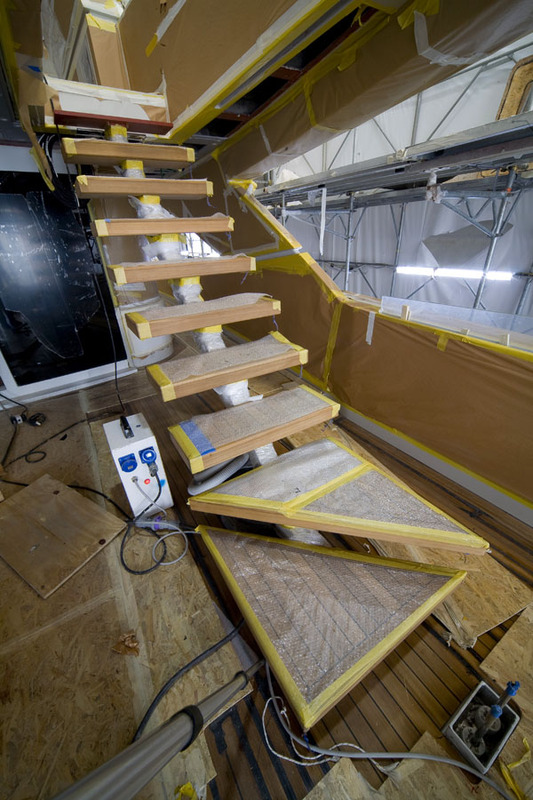 To early April, such procedures are approaching completion as final assembly of VIP guest cabin (starboard aft) with ceiling panels completed and ready for freestanding furniture installation. 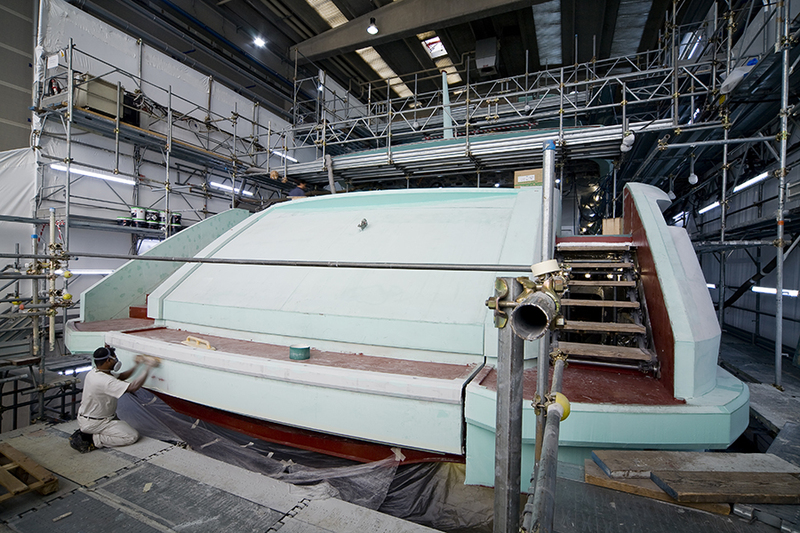 Jacuzzi on fly deck has been fitted, laying of the teak deck forward of the wheelhouse has been completed and alinement of drive shafts has completed and ready for propellers to be mounted and many more. About the interior, Elettra’s lower deck will be equipped with a gym and beach club, three VIP cabins with king-size beds and two guest cabins with twin berths, plus crew quarters and service areas. 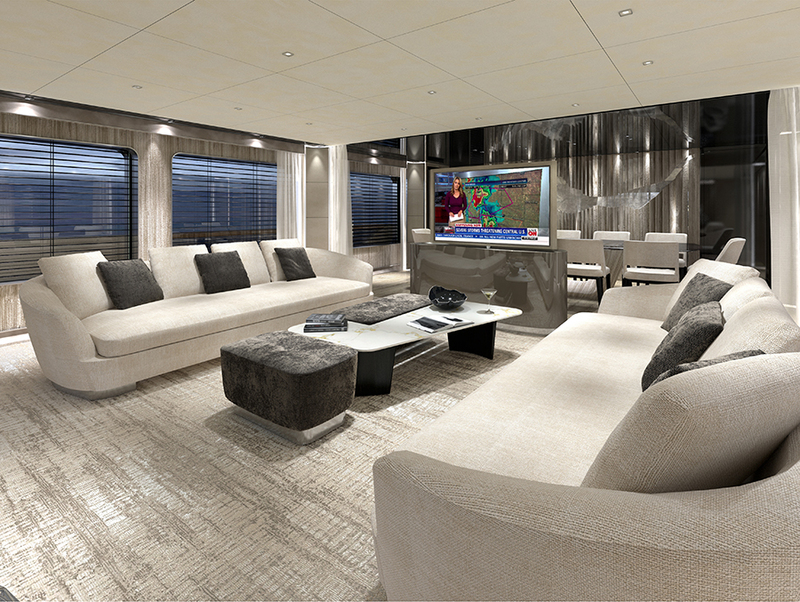 On the main deck, the cockpit comes with a spacious sunbed, U-shaped sofa, coffee tables, and bar. On the same deck level, the interior comprises a spacious salon, galley, dining room and oversized master suite with office and day lounge equipped with fold-down balconies on both sides. The upper deck is designed around spacious outdoor areas for guest’s relaxation, with a dining table and access to the comfortable sky lounge. 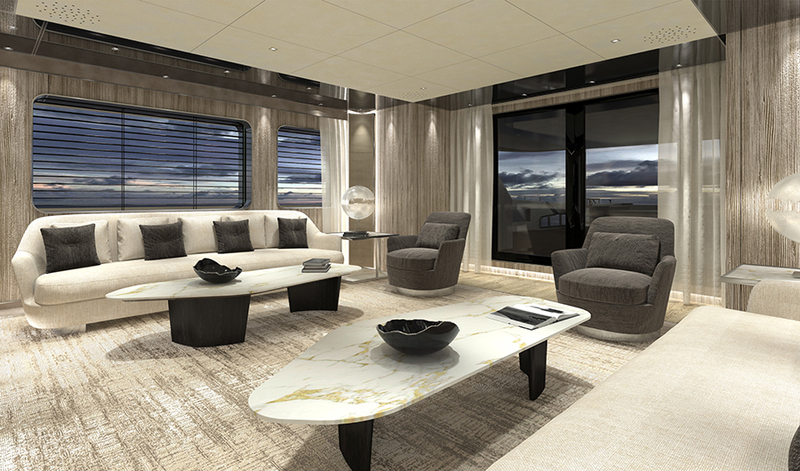 The foredeck includes a solarium and an open-air lounge. On the fly deck, the relaxation areas are with sofas, sun-beds, bar, and a large Jacuzzi.